16/3/12 - Obituary - The art historian Robert Hooze, director of the Musée des Beaux-Arts in Ghent, passed away last 21 February. Born in Ghent in 1949, Robert Hooze studied at the university there then at the Courtauld Institute in London ; his doctoral dissertation, presented in 1975, studied John Constable (John Constable (1776-1837), Etude stylistique critique et analyse du processus créatif au sein de son oeuvre. Contribution à l’histoire du paysage au 19e siècle) ; he was to become one of the most eminent specialists of the artist for whom he published "L’opéra completa" in 1979. Just recently, "his" museum presented an exhibition highlighting Constable’s painted studies from the Victoria and Albert Museum collections. 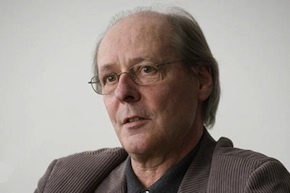 After his dissertation, Robert Hooze became a scholarly advisor to the Musées Royaux des Beaux-Arts de Belgique until 1978, when he joined the Musée des Beaux-Arts in Ghent, first as an assistant, then as interim director (1982-1985), before being officially appointed the director, a position he would hold until his passing. Thus, he spent almost thirty years at the head of this establishment developing its activities, enhancing the collections (he published the catalog of paintings in 2007) and promoting its image on an international level. The author of many works and essays devoted to Belgian art (L’art flamand des origines à nos jours, 1985 ; L’art moderne en Belgique, 1992), the curator of several exhibitions at the Ghent Museum and in partnership with other institutions, including major museums (James Ensor, Paris, Musée d’Orsay, 2009), Robert Hooze was an influential figure in the field of art history, unanimously admired for his scholarly and human qualities. Robert Hooze was a member of the Koninklijke Academie voor Wetenschappen en Kunsten (Classe des Beaux-Arts), a member of the Comité de direction at the Musée royal des Beaux-Arts in Antwerp and a member of the Comité Ensor.